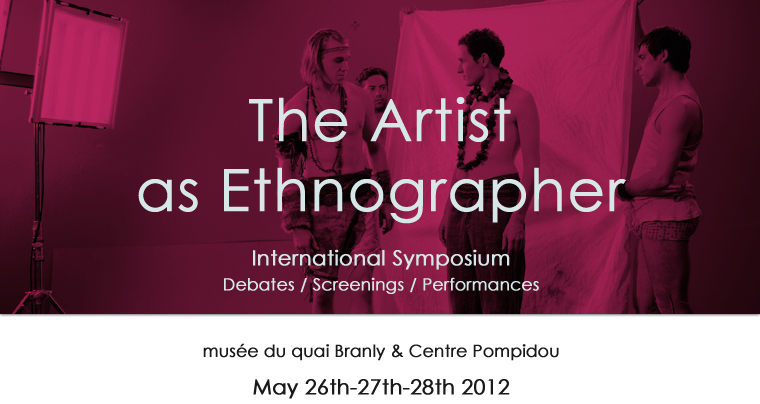 The 26th, 27th, 28th May 2012, the curatorial platform le peuple qui manque, in partnership with Musée du quai Branly Research & Cultural Departments, and Centre Pompidou, National Museum of Modern Art, Film Department, proposes encounters, screenings, performance and an international symposium called “The artist as ethnographer”. In his 1995 article « Portrait of the Artist as Ethnographer », Hal Foster gave a singular insight on how the former « artistic desire » of the ethnographer has been reversed. Indeed the ethnographic turn in contemporary art is still to be questioned. By exploring a spectrum of essential aspects related to this situation, this event gathers artists, filmmakers, art historians, curators and anthropologists – in order to intertwine art and anthropology, cultural critic and visual theory. Two days of conferences and debates, welcoming international speakers, are combined with three evenings of screenings and performances at Centre Pompidou. The Artist as Ethnographer event ambitiously raises the epistemological issues at stake here, from multiple locations and practices : artistic inquiries through colonial knowledge and archives, and also through the history of scientific museology ; the documentary field and its recomposition through various apparatus of collaborative form ; authority regimes, enunciation modes, experimentation with writing and fiction throughout the narratives of the « Other ». 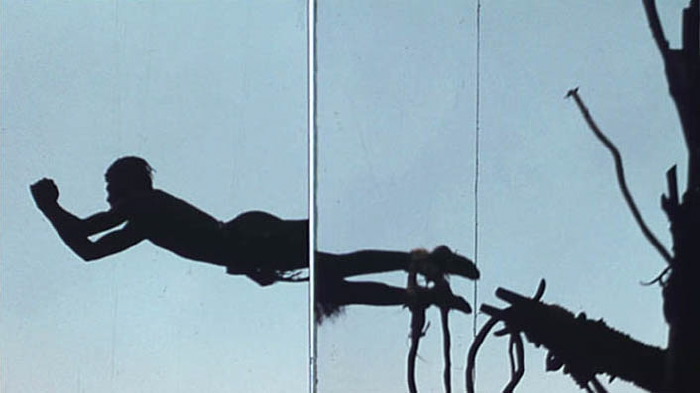 Speakers interventions and debates will be articulated on four transverse panels :: Autoreflexivity and experimentation ; Contracts and power relations ; Fiction and narratives ; Museum, archives, exhibition. Performance by Simon Fujiwara (London). Featuring videos/films works by Kidlat Tahimik (Philippines), Camille Henrot (France), Luis Ospina & Carlos Mayolo (Colombia), Dias & Riedweg (Brasil), Jorge Preloran (Argentine), Francis Alÿs (Mexico). Event coproduced by the curatorial platform Le peuple qui manque in collaboration with Musée du quai Branly Research & cultural Departments, and Centre Pompidou, National Museum of Modern Art, Film Department. With the support of Région Ile de France.